Sr. Ceil Roeger, O.P. and Br. Mustafaa Carroll, Executive Director of CAIR Texas. 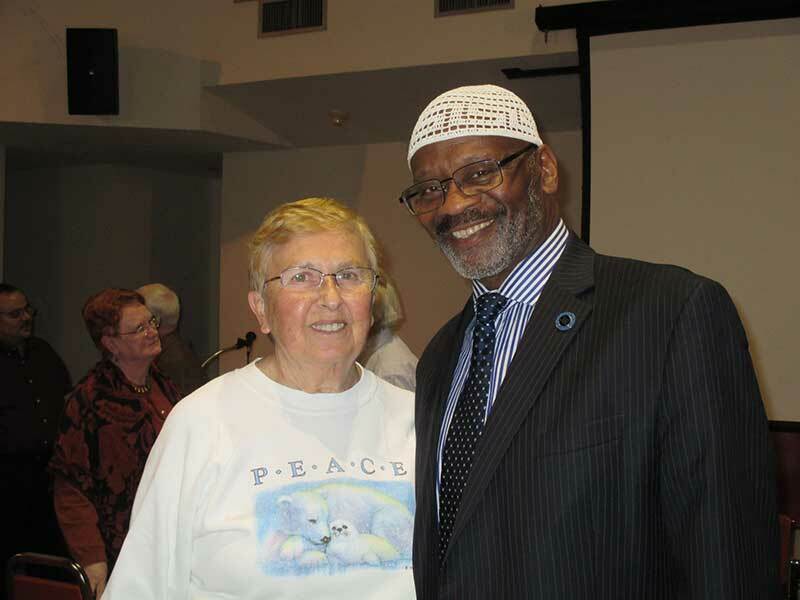 On Sunday, February 7, the Dominican Sisters of Houston hosted a presentation on “Islamophobia.” The presentation by Mustafaa Carroll, Executive Director of CAIR Texas (Council for American –Islamic Relations) was sponsored by Pax Christi Houston, Center for the Healing of Racism, Houston Peace and Justice Center and the Dominican Sisters. Carroll began by setting forth the objectives he wanted to cover during our time together. To offer ways we can all work together for the common good. Islam from the Arabic root word “slm” meaning peace is one of the three Abrahamic Faiths along with Judaism and Christianity. While the three religions trace their roots to Abraham, there are tenets which differentiate them. For example, while Christians embrace the Trinity, the other two do not recognize the divinity of Jesus. Audience includes members of Pax Christi and Dominican Sisters. After giving the background about what Islam is, Carroll asked, “What do people say about Muslims?” Responses like terrorists, extremists, violent, and oppression of women, set the stage for the reason for the presentation. People most often fear what they do not know. Islamophobia is defined as a social anxiety, a hatred for, and prejudice towards Islam and Muslims. He explained that Dr. Edward Said’s treatment of the term does not mean a fear of Islam itself but the false presumptions about Islam. As a result of the many misconceptions, American Muslims face many of the challenges that other ethnic groups or peoples of other cultures face. They also face the “hate” factor that is fanned in the media and by extremists groups because of the actions of a few, i.e. Isis. Carroll told us that we cannot deny that Isis is a terrorist group. However, they do not represent Islam or the vast majority of Muslims. CAIR’s vision looks toward the time when being Muslim carries a positive connotation and Islam has an equal place among many faiths in America’s pluralistic society. He noted that the groups sponsoring the presentation work together to address many of the issues. Following the presentation, Dave Atwood from Pax Christi Houston served as moderator of a panel with Rabbi Steven Morgan, Deacon Sam Dunning, from the Galveston Houston Archdiocesan Justice and Peace office, and Reverend Ron Lister who offered responses from the Jewish, Catholic and Christian faiths. 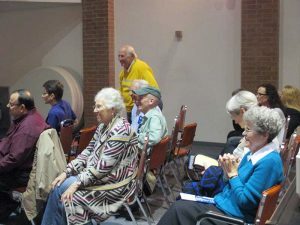 A discussion followed with questions and comments from the audience. A Latino father, who brought his children explained that they live in a diverse neighborhood and have friends who are African American, Asian, Latino with various faith backgrounds as well. They get along well and do not seem to experience any of the prejudices and fears. He wanted them to know that it is out there and not to “buy into the fear.” As the discussion continued, several people acknowledged that we need to have dialogues with and learn from the younger generation who seem to be better at accepting and living with differences.